Imagine a world where you will be able to communicate with your gadgets at home and learn if you need to buy anything on your way home. Or, perhaps you can set the temperature to be warmer so that by the time you arrive home, you have everything set. 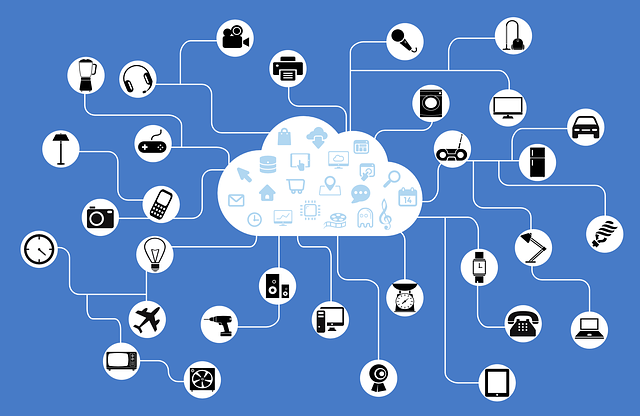 With the Internet of Things, it will be basically possible to connect all your devices and gadgets onto the Internet, and even more. Although it might seem like a far-fetched idea to connect all your appliances in your home, it can become more than just useful. You will have the chance to remotely control almost everything in your home, and this will give you a whole new level of freedom, as you will be able to check up even while at work. The true benefit of the IoT at work, will be the usage of smart sensors telling you if there is anything wrong within or around your home. Though, keep in mind that you will have to set a standard so that your devices can monitor accordingly and not to make mistakes. Having access to the Internet is not a big thing nowadays, but intertwining your gadgets at home with the ones at work, so that you can use them when you really need them is an important breakthrough. Moreover, you will have the opportunity to finish up work, at home, without any trouble, as you can send your documents and have them printed out. And, you can also print files from your office on a home printer, when you need to work from home, but be sure to check the levels of your printer ink prior to that, since IoT will make that possible too. As it is with anything connected to the Internet, you will have to be careful with security features. There a lot of people trying to hack into homes with gadgets and devices being freely connected. They can gain valuable insight into those homes, and because everything is one big network, they can gain more knowledge on your life as well. But, there is no need for worry, because you will be able to avoid any awkward situations by simply updating and upgrading your basic security perimeters. In essence, anything that will have some electronics in them, and which will have the ability to communicate with the Internet, will be possible to connect with your home’s network. Soon enough, our homes will be able to send, and receive, information so that we will know exactly what is going on at home. Moreover, as gadgets will get smarter, you can listen to your home telling you if there is anything wrong with it, so that you can fix it up immediately and without having to guess what could have gone wrong. Understanding your appliances and how the IoT works will be key in order to set up safely and securely, so that no harm comes to your home nor to your gadgets. For the time being, the concept is really a sword with two edges, as the IoT can bring your life ease, but at the same time it can turn it upside down. Be sure to follow security procedures to keep everything secured.